Climbing a tree is as natural to a kid as it is to a monkey in the rainforest. There's a wonder and awe being in a tree. See the world from the branches is a child's dream come true. Climbing a tree allows a child's imagination to run wild. It's a sanctuary for them to get away from reality. Now put a treehouse in that tree and you've allowed their imagination to come to life. 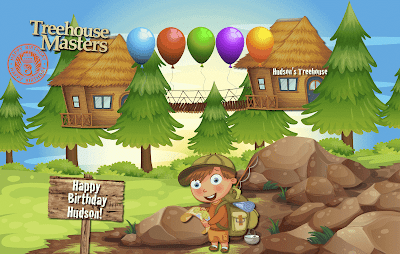 My 8 year old son has been asking for a treehouse since he was introduced to Treehouse Masters on Animal Planet. He's also been asking if we can invite Pete Nelson to come over a build a treehouse. Problem is... we don't have trees big enough in our suburb home to build one. Well... don't let that stop you. 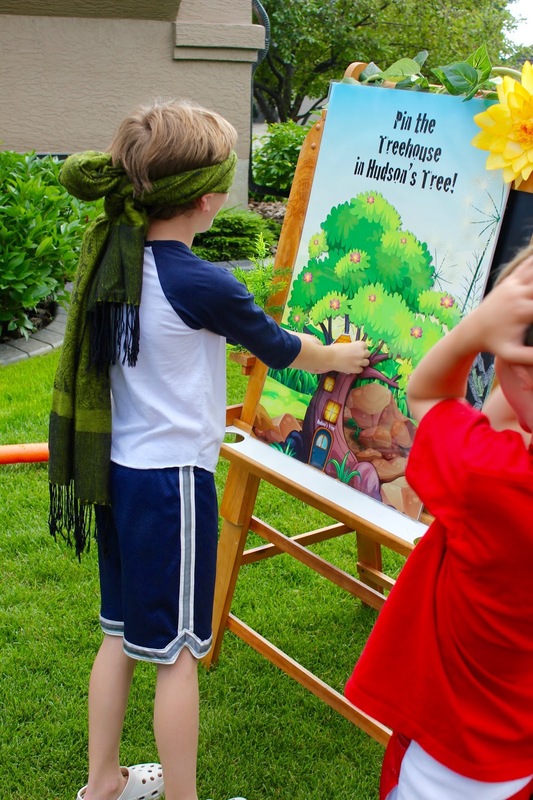 We put together a Treehouse Birthday Party! Where to start? The great outdoors of course! Pick up some pinecones, sticks, moss and bugs. 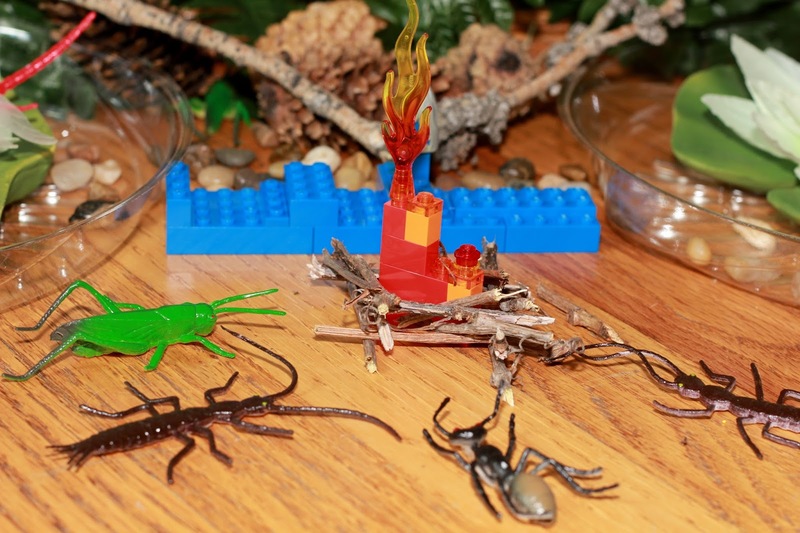 Okay, not real bugs. Go to the dollar store and get some bugs. 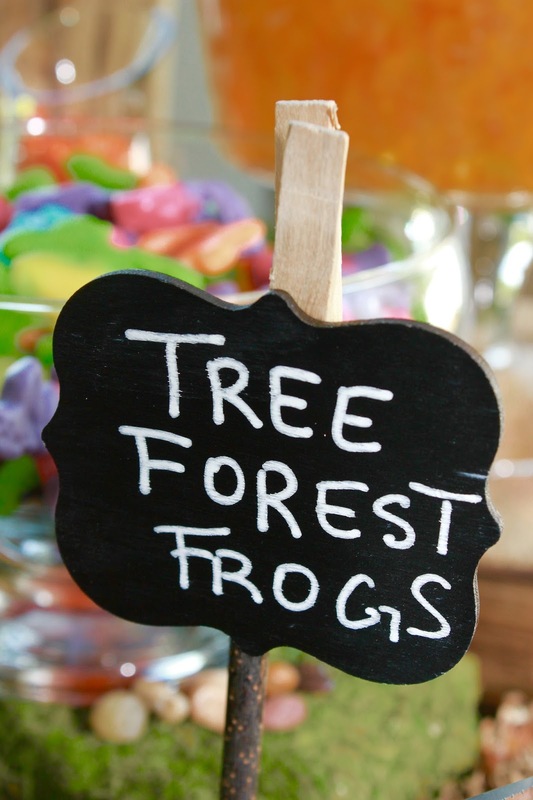 Add in a treehouse snack bar and you're set. Plus broccoli trees, a treehouse model and some lego! What about the entertainment? 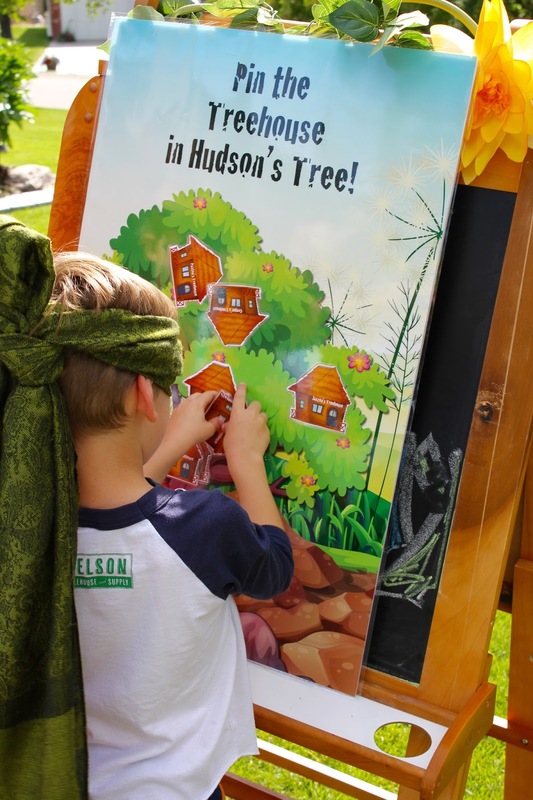 My son suggested, "Pin the treehouse in Hudson's tree." Print a few treehouse's and laminate them. Stick tape to the back and put on the blindfold and you're set! But apparently that wasn't enough. So we hired Tony The Trick! He was the "icing on the cake." He did an amazing job - even a levitation trick! The goodies bags fit the theme. 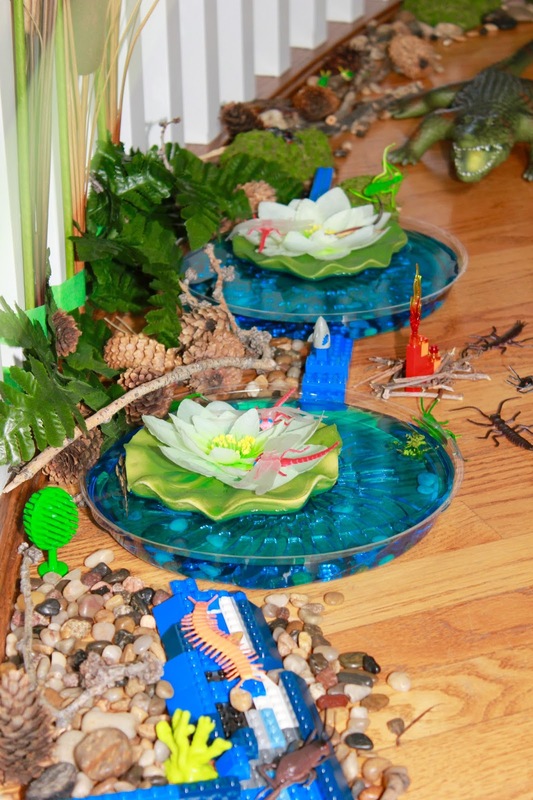 These are fun for the kids to put together themselves - or with their parents. Oh... and play Treehouse Masters in the background! Plus the cake! 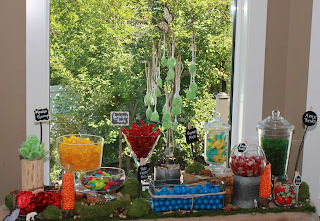 Special thanks to Sugar By Tracy, who ALWAYS does an amazing job!!! 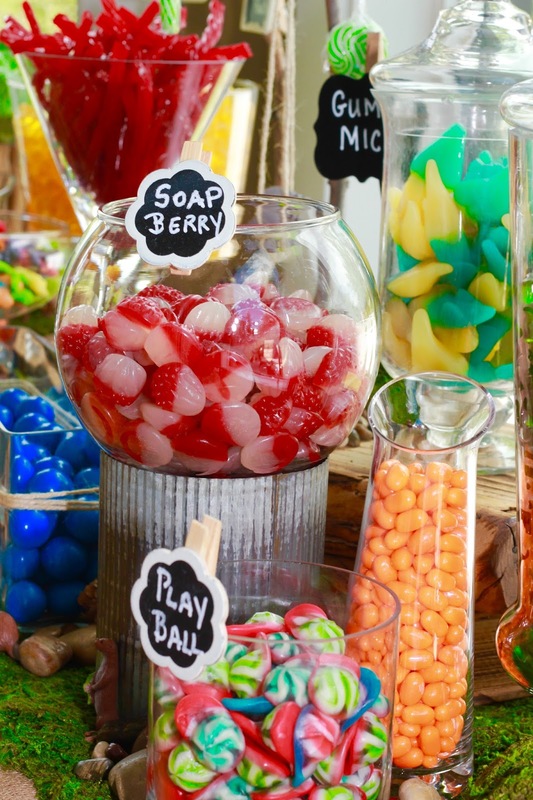 Life is too short to not have a magical birthday party. It doesn't need to be expensive, just fun. It's a time for a kid to be a kid. There you have it, a Treehouse Birthday Party! !